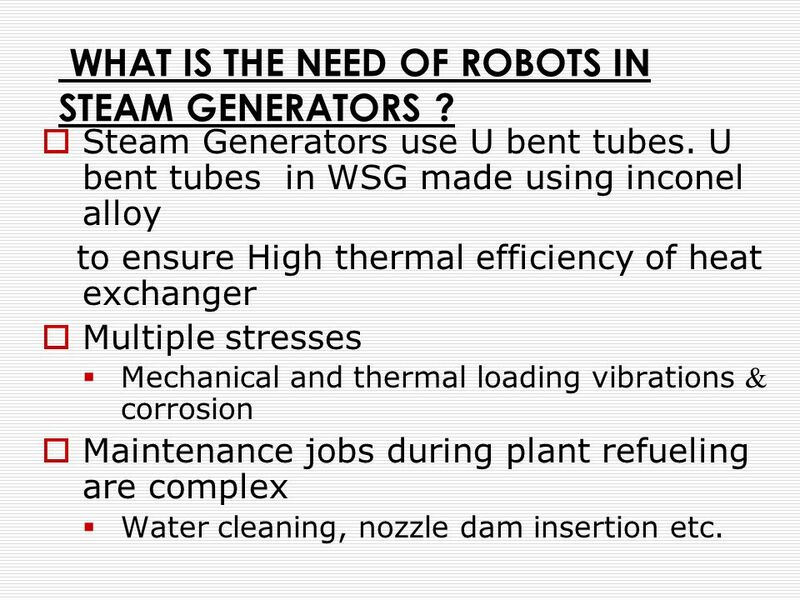 7 WHAT IS THE NEED OF ROBOTS IN STEAM GENERATORS ? 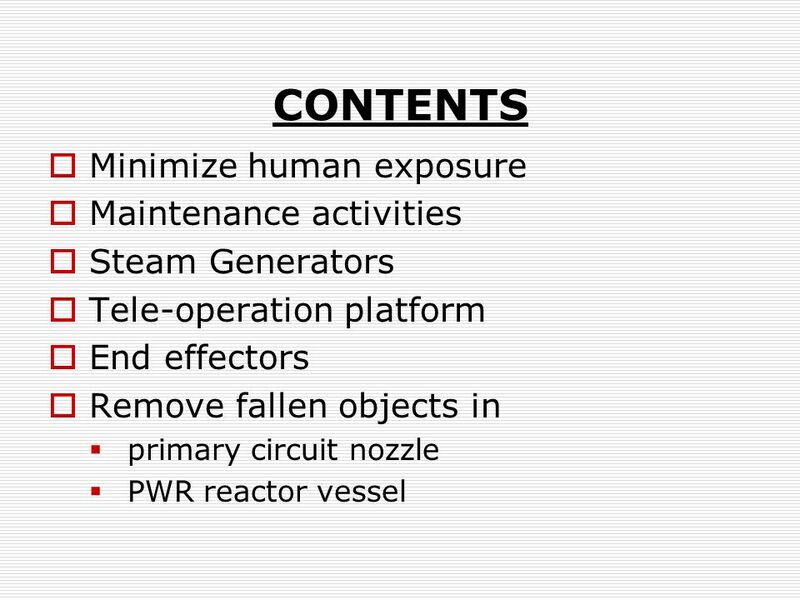 Steam Generators use U bent tubes. 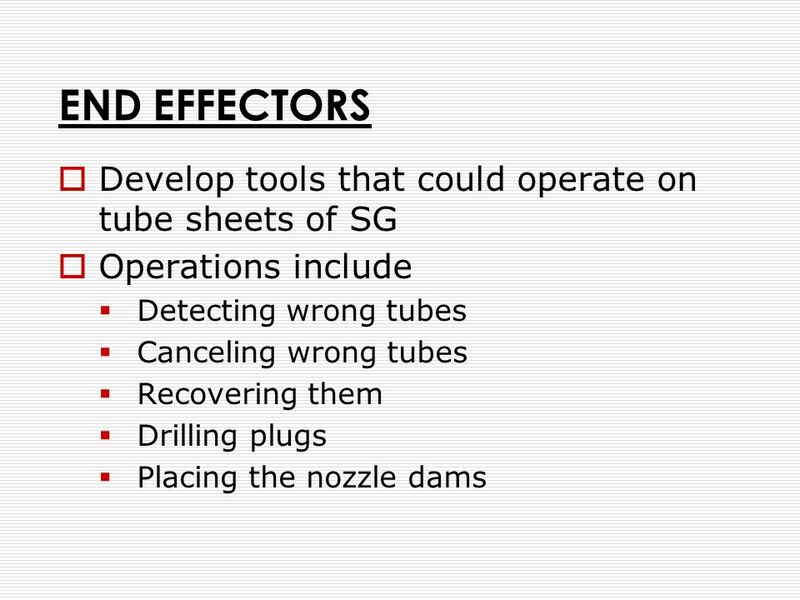 U bent tubes in WSG made using inconel alloy to ensure High thermal efficiency of heat exchanger Multiple stresses Mechanical and thermal loading vibrations & corrosion Maintenance jobs during plant refueling are complex Water cleaning, nozzle dam insertion etc. 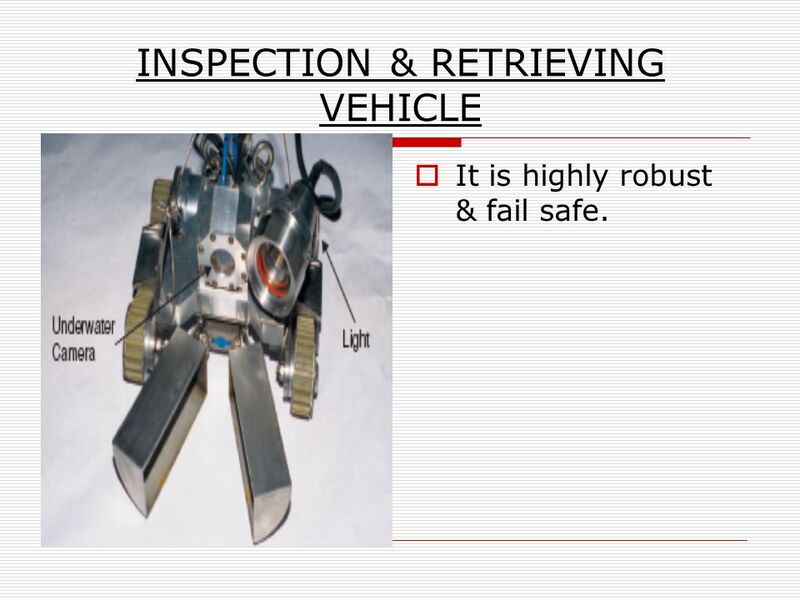 It is highly robust & fail safe. 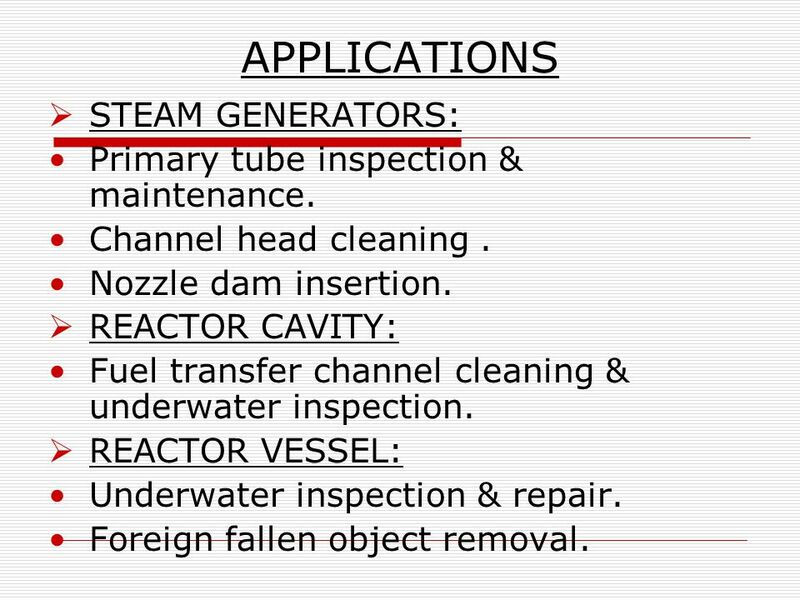 23 APPLICATIONS STEAM GENERATORS: Primary tube inspection & maintenance. Channel head cleaning . 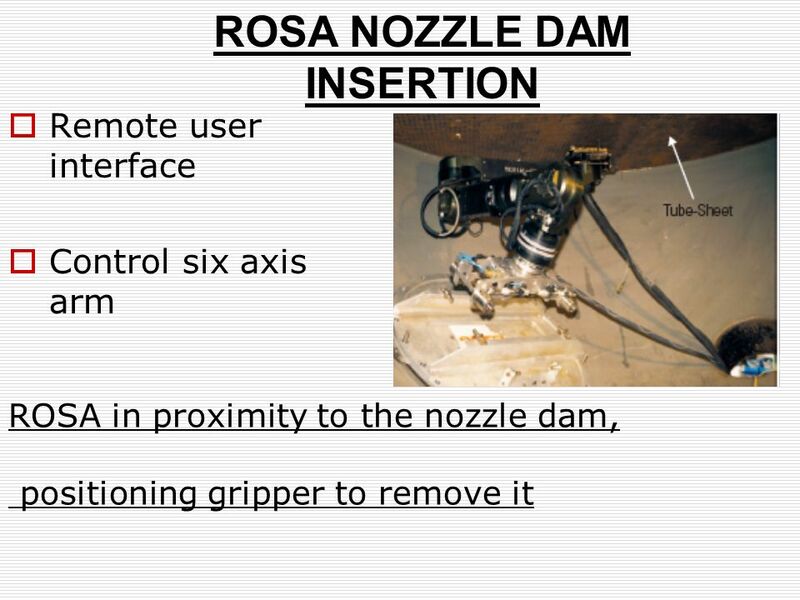 Nozzle dam insertion. 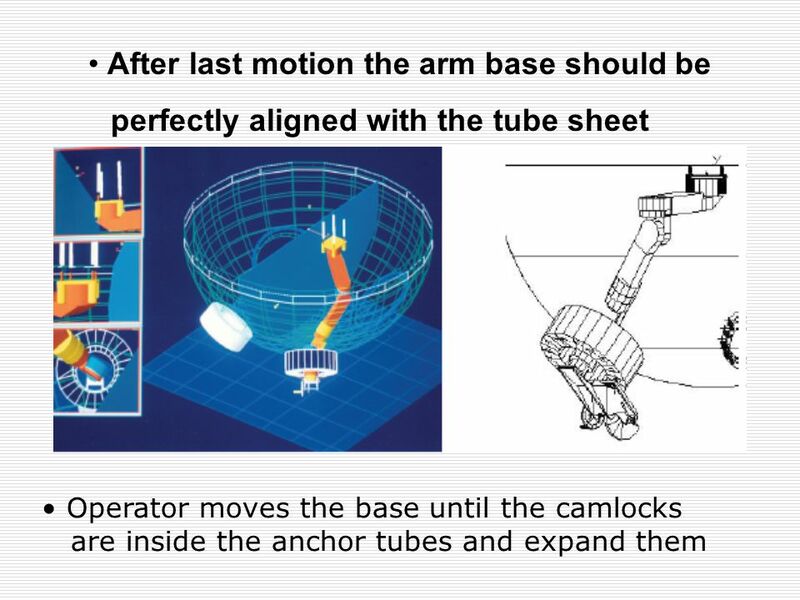 REACTOR CAVITY: Fuel transfer channel cleaning & underwater inspection. 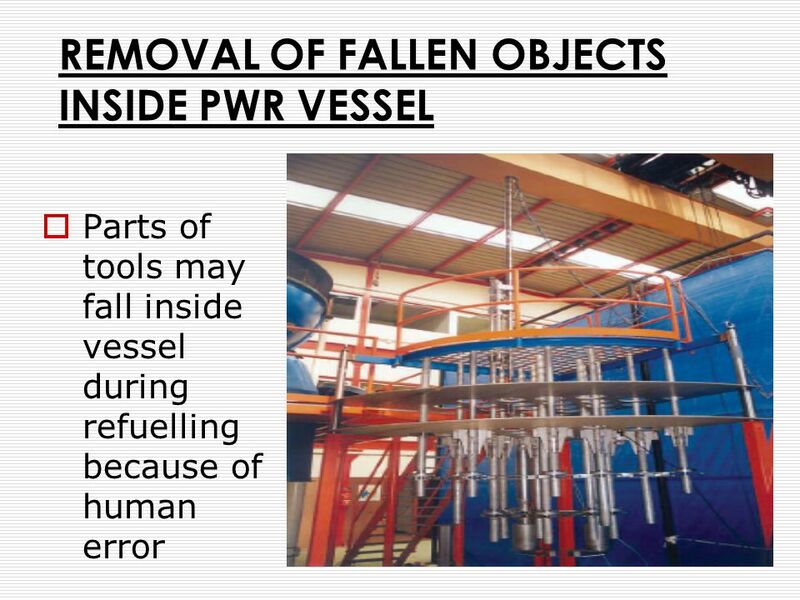 REACTOR VESSEL: Underwater inspection & repair. 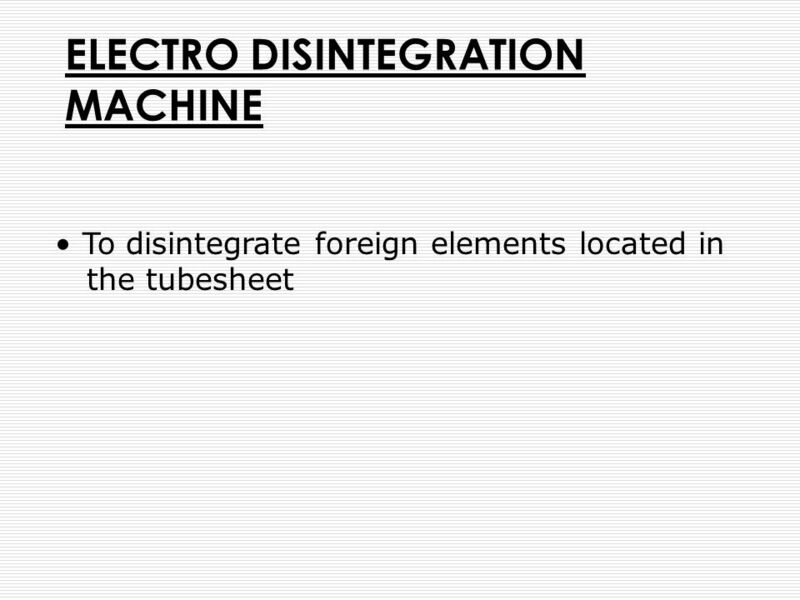 Foreign fallen object removal. 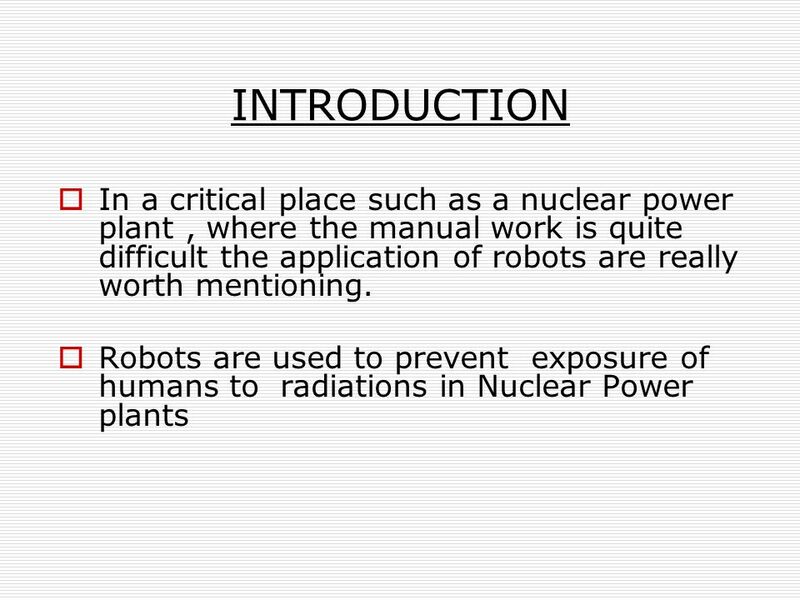 Download ppt "ROBOTS IN RADIOACTIVE ENVIRONMENTS." New Vi-Go Ladder Climbing Safety Systems provide the ultimate in safety with continuous fall protection when climbing fixed ladders. 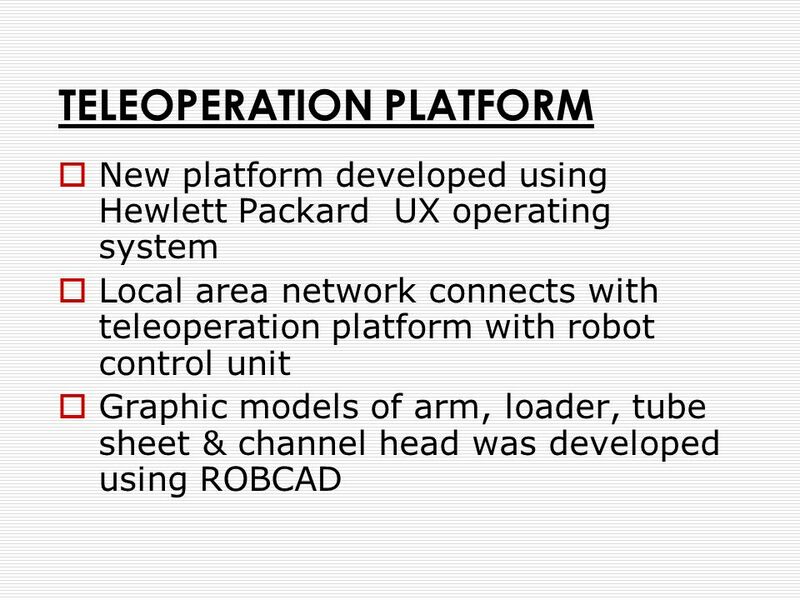 Systems are available. 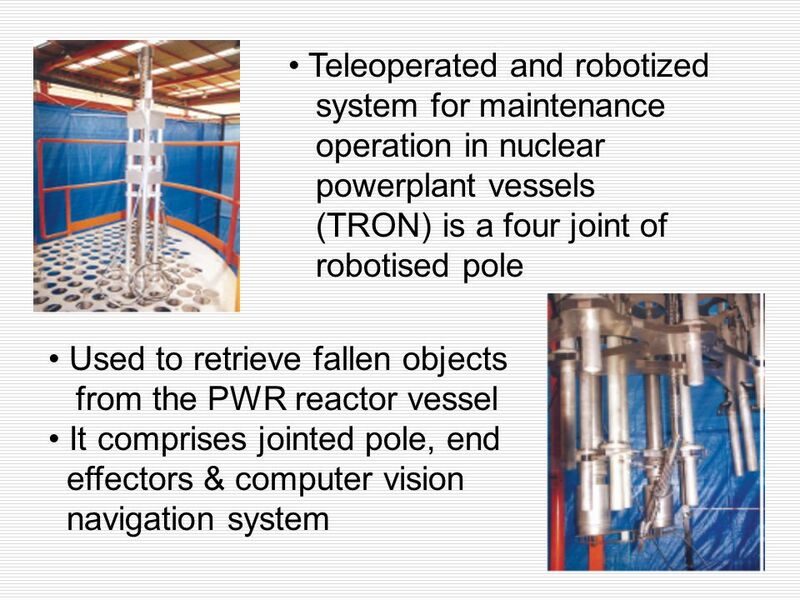 Constellation Energy “The Way Energy Works” PWR Tritium Issues G. C. Jones. 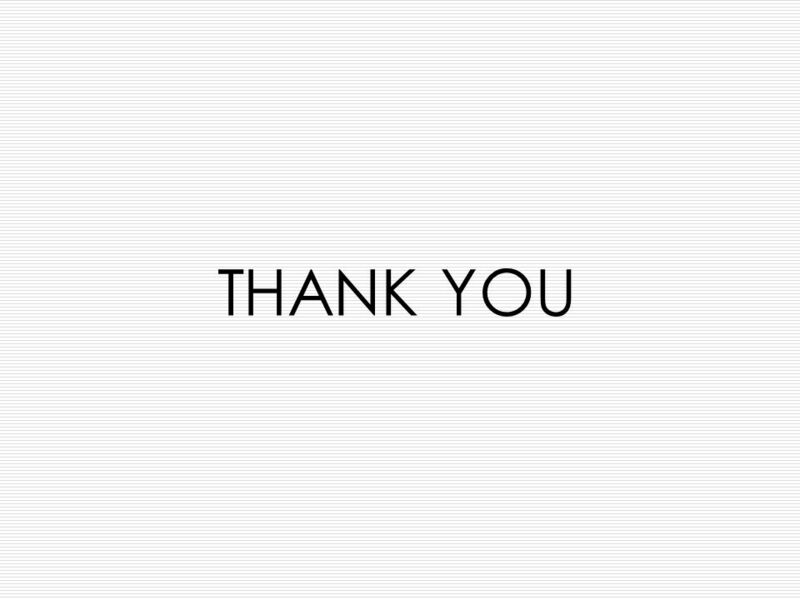 RMM Systems, LLC By Sam Rietta RMM Systems, LLC is a manufacturer's representative firm focused on providing value added sales solutions by providing. 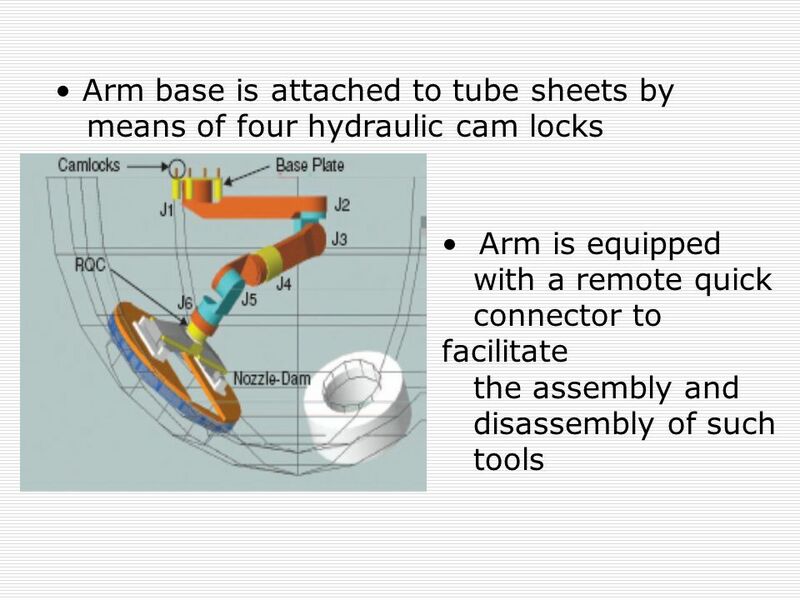 All Rights Reserved, Copyright (C), MITSUBISHI HEAVY INDUSTRIES,LTD. 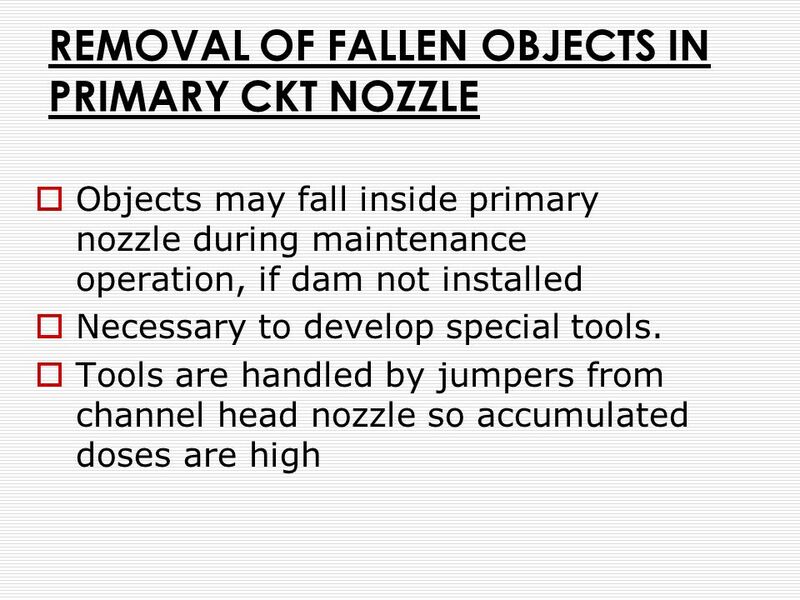 NO.1 Application of cavitation jet technique to operating nuclear power plant September,12. © 2014 wheresjenny.com Dock management DOCK MANAGEMENT. 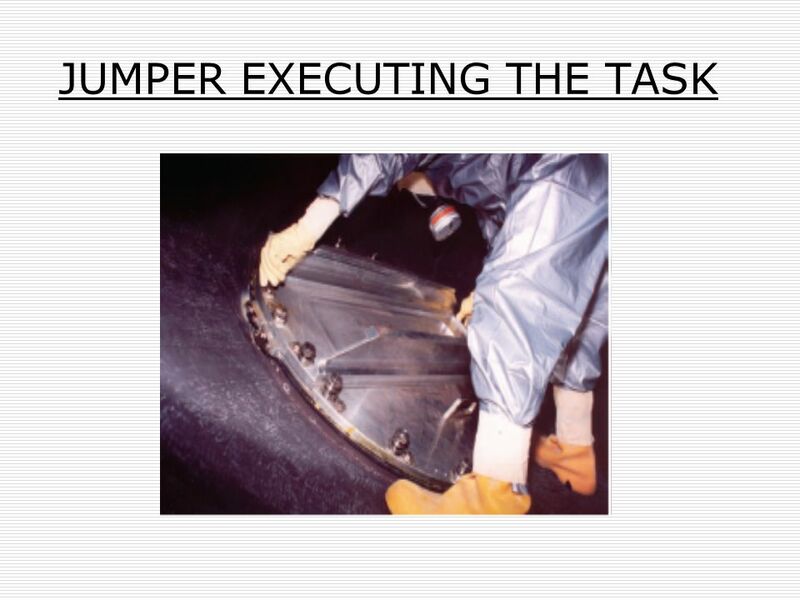 Tire Servicing Program. Agenda WorkSafeBC Requirements Definitions Responsibilities General safety. 1 Heat Exchangers. Standards of Conduct in Training 2. 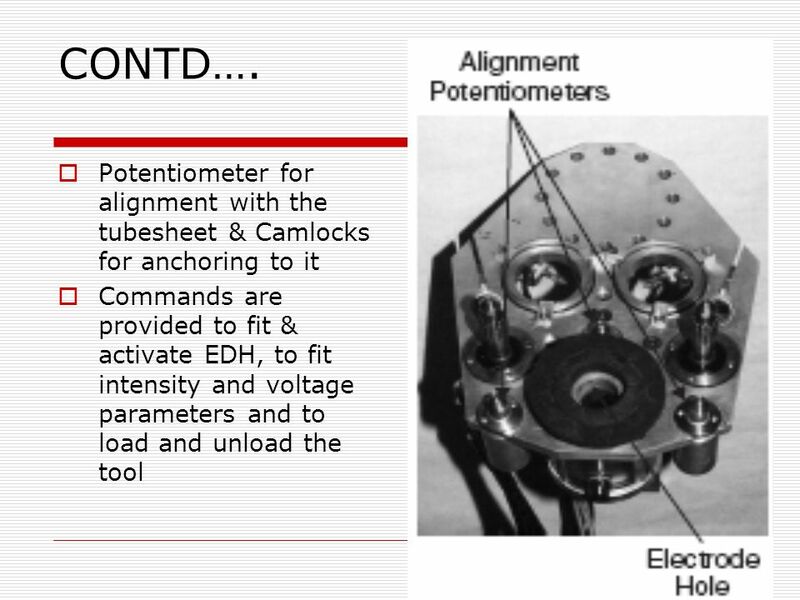 ENGINEERING PROJECT PROPOSAL MASTER OF ENGINEERING IN MECHANICAL ENGINEERING DAN FLAHIVE Analytical Method to Predict Primary Side Steam Generator Pressure. 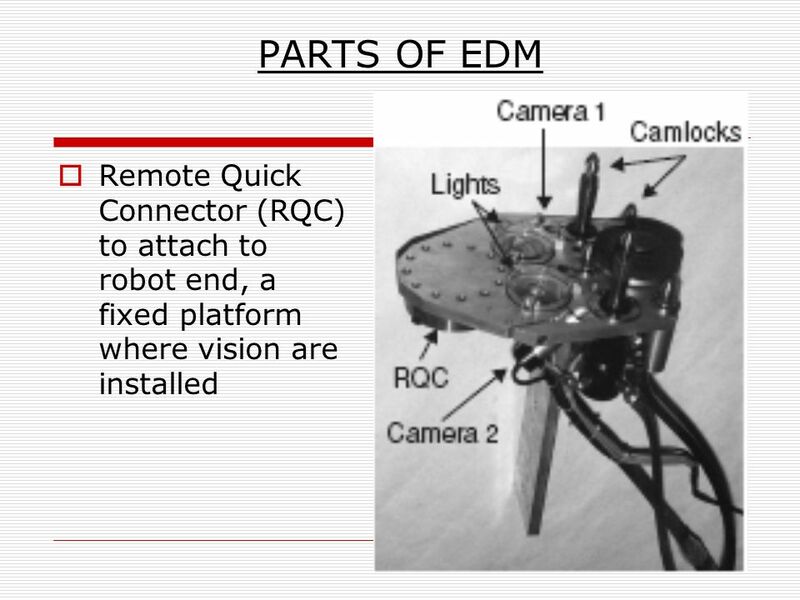 Mechatronics 1 Week 1. 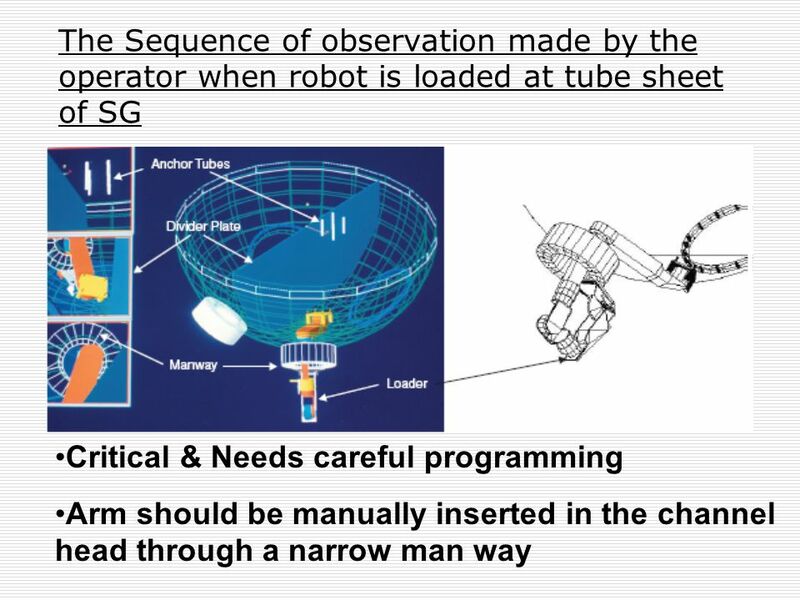 Learning Outcomes What is a robot and analysis on how it works will be presented in this course (week 1 to week 13). By the end. 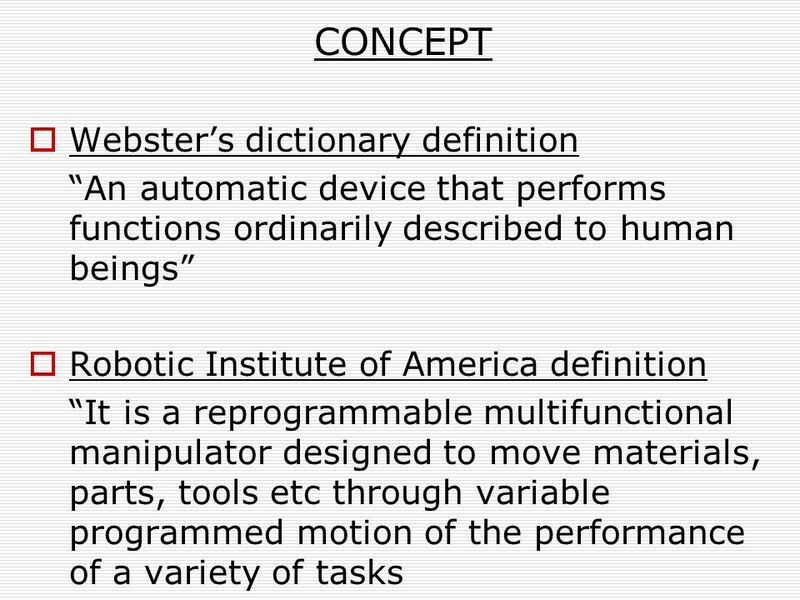 COMP322/S2000/L21 Origin of the word “Robot” From Czechoslovakian words: ROBOTNICK ==> serve ROBOTA ==> work Introduced in 1921 by the playwright Karel. Lockout/Tagout Authorized Employee. 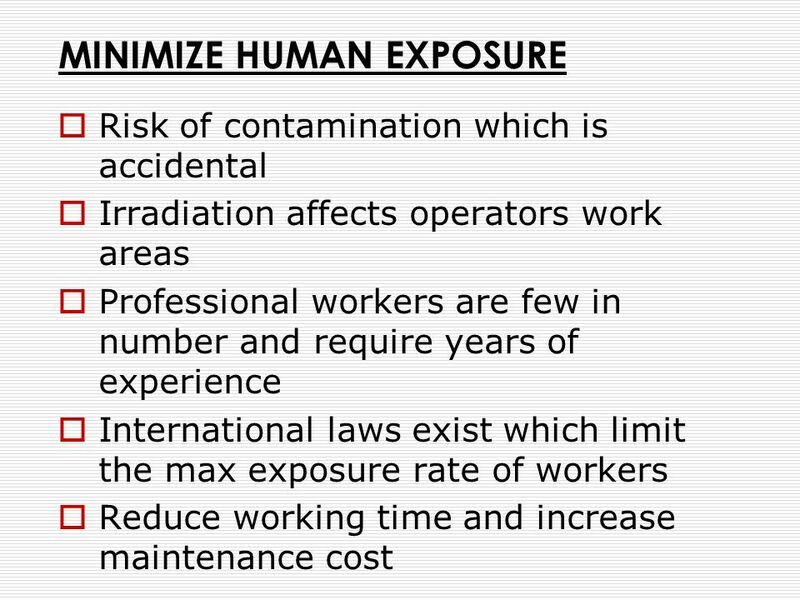 What Is Hazardous Energy? 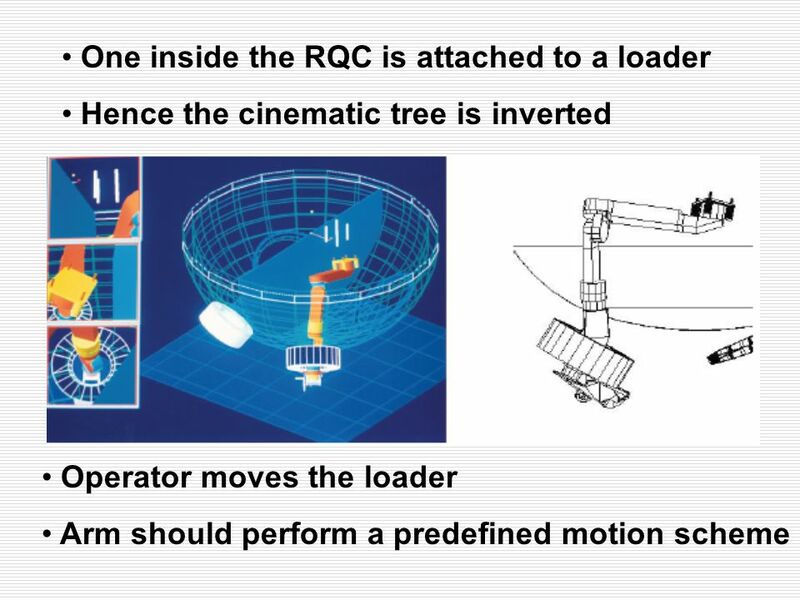 –Often invisible –Can be hydraulic or mechanical –Live or stored –Moving machine or equipment. 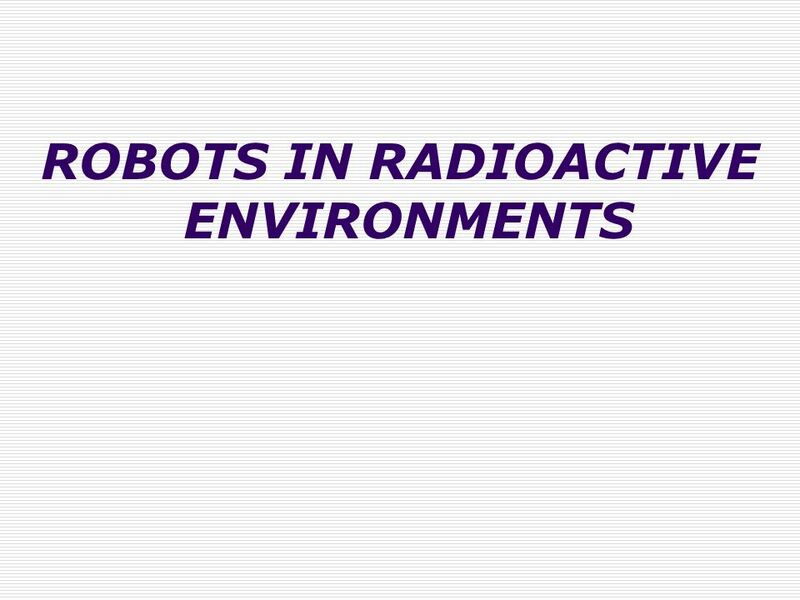 T. Bajd, M. Mihelj, J. Lenarčič, A. Stanovnik, M. Munih, Robotics, Springer, 2010 SAFETY IN INDUSTRIAL ROBOTICS R. Kamnik, T. Bajd and M. Mihelj. 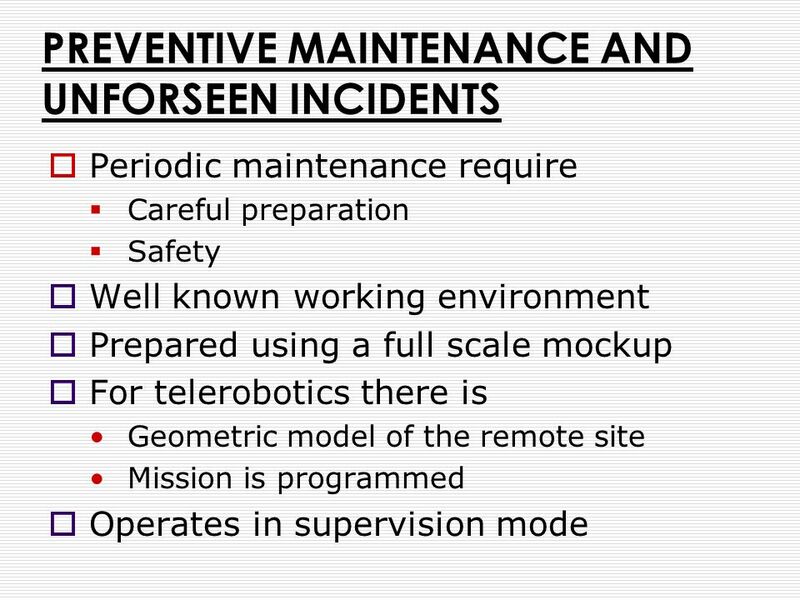 Better Robots 1 The Goal: More Robots Enabling Fewer Soldiers Military “robots” today lack autonomy –Currently, many soldiers control one robot –Want few. 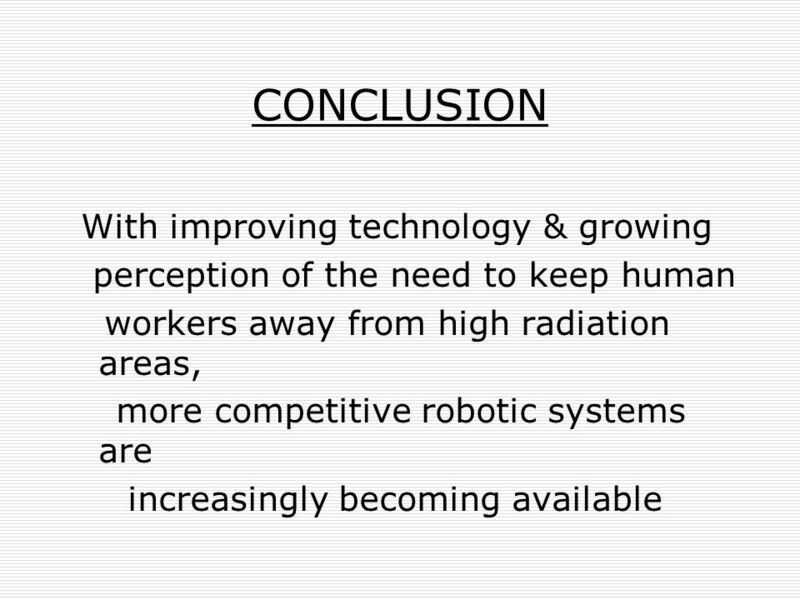 Mu2e Mu2e Remote Handling Review Comparisons: Costs, Risks & Maintainability Ryan Schultz Deputy L3 Manager Target Station 3/3/2015.